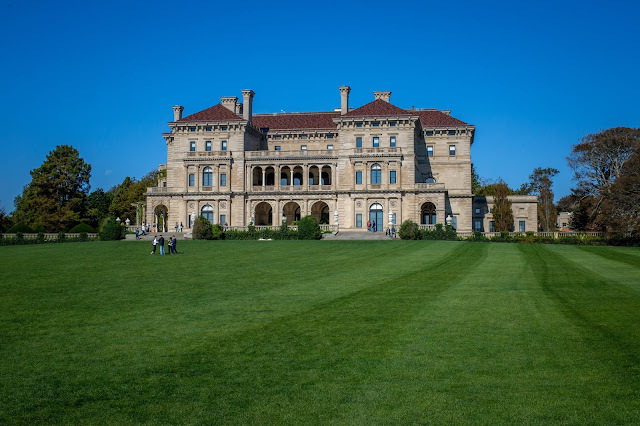 About 180 miles from NYC, we found our first stop of Newport, Rhode Island. I've visited this quaint little beach town a couple of times during my tenure in Connecticut, but it was always as a day trip in the summer, so I was excited to stay overnight. The seaside community is known for its historic mansions and storied sailing history. 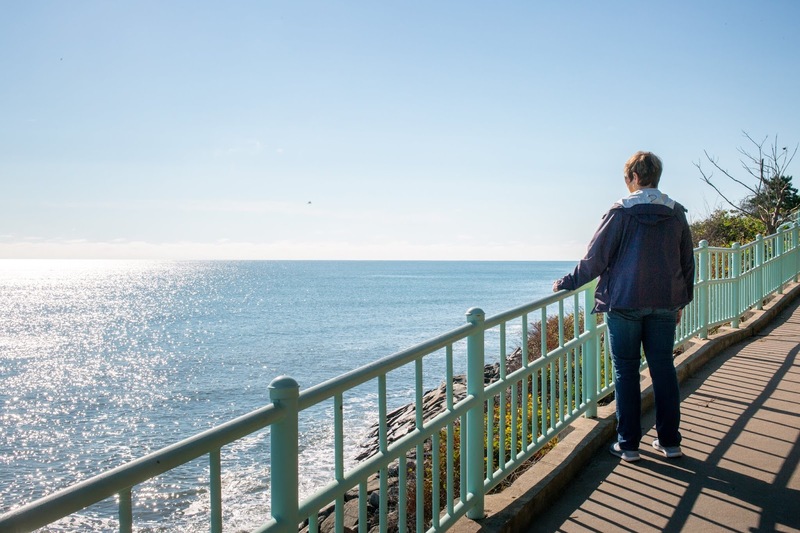 It also boasts a cute little downtown area on the water, with plenty of restaurants and shops to explore, as well as a beautiful Cliff Walk, where you can enjoy the ocean breeze while getting a peak at some of the impressive estates the town is known for. My mom and I decided to stick to Bed & Breakfasts for this trip, much as we did when we visited Australia back in 2012. I love B&B's... especially in historic communities such as Newport, as the lodging becomes almost a tourist attraction on its own. Francis Malbone House is centrally located to downtown Newport, and has a rich history dating back to 1760! I find inn keepers to be great resources for area attractions, and as an added bonus, you are treated to a home-cooked meal. 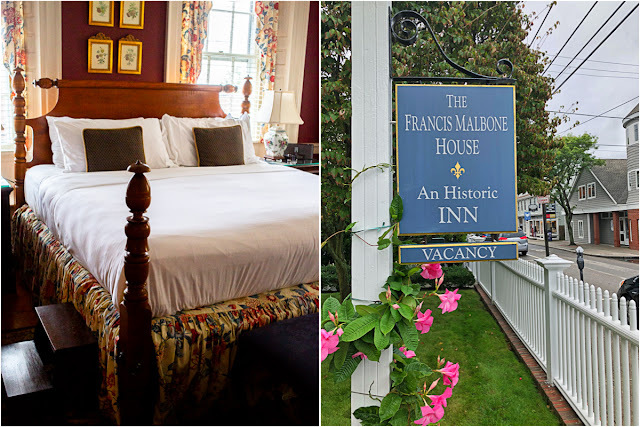 Francis Malbone offers a bountiful afternoon tea each day with freshly prepared snacks and desserts, as well as a scrumptious breakfast in the morning with your choice of sweet or savory entrees cooked to order. 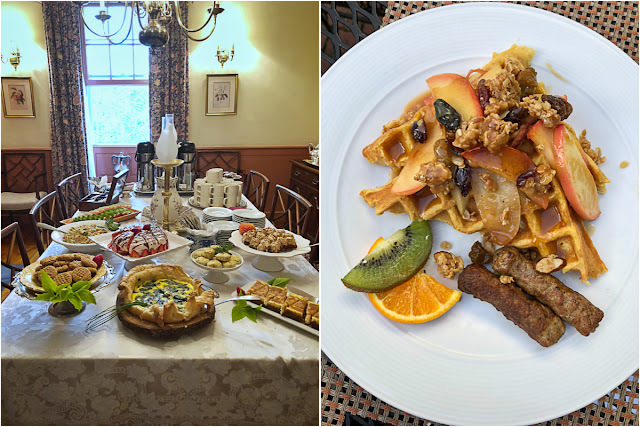 We enjoyed our pumpkin waffles with cinnamon maple granola and apples, as well as a mushroom, goat cheese and spinach scramble with sausages. 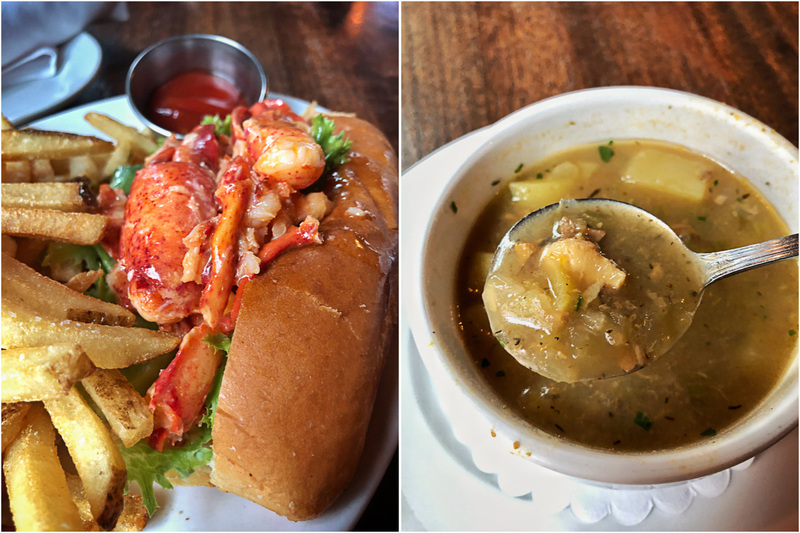 After grabbing a couple snacks at the afternoon tea, we decided we still needed a light snack before dinner, so we wandered down to the Midtown Oyster Bar to sample some Rhode Island Clam Chowder and consume our first lobster roll of the trip. Rhode Island Clam Chowder has a clear broth (as opposed to the creamy New England style chowder), and I almost preferred it to its more famous cousin. The lobster roll came Connecticut style, poached and dressed in warm butter. Later in the evening, we checked out Thames Street Kitchen for dinner, which was more of a modern American menu that focuses on local and seasonal ingredients when available. If you go, don't miss the Parker House bread! Before setting off for Maine the next morning, we decided to take a stroll along the water on the famous Cliff Walk. This National Recreation Trail runs 3.5 miles along along the rocky coastline, with dramatic drops to your left and stunning mansions to your right. We probably only walked half of the trail before catching an uber back to the hotel, but it was a refreshing way to start the day. Just beware that part of the trail is nicely paved, while other parts have you navigating your way over large rocks, so bring proper footwear! 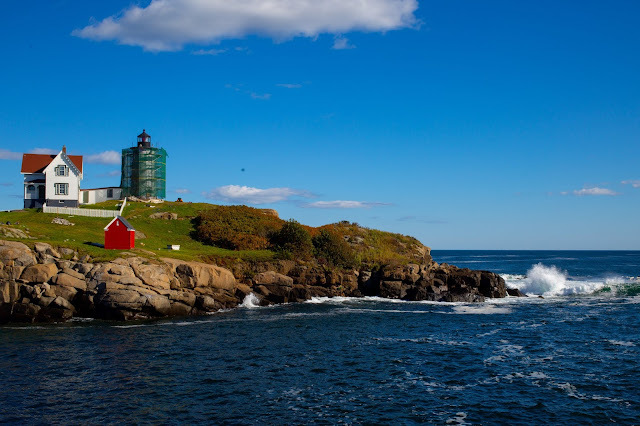 My original thought was to drive all the way to Portland, Maine, as I love that town and all that it has to offer. 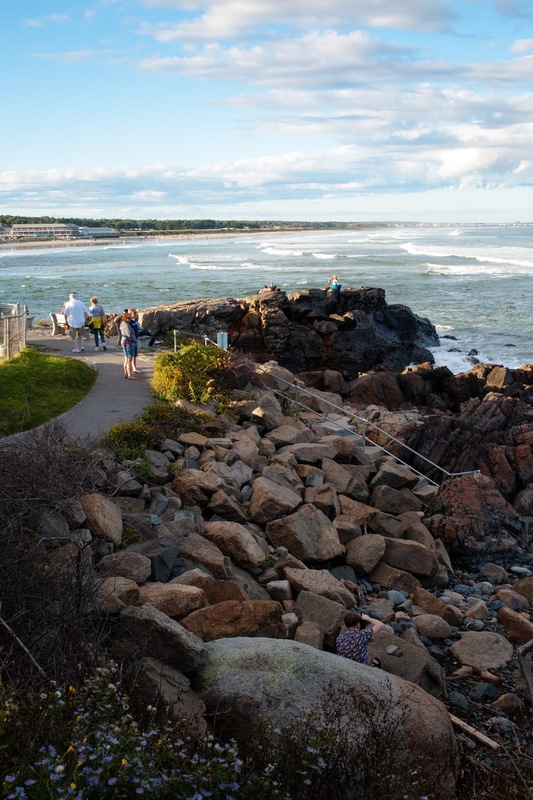 But in the interest of saving a little time and money (the prices for Portland accommodations that weekend were crazy high), I ended up settling on Ogunquit, and I was so glad I did. According to legend, Ogunquit was named by the Abenaki tribe because the word means "beautiful place by the sea," and that might be the most accurate town description of all time. Much like our accommodations in Newport, Trellis House is a historic property. But I would say the biggest difference is the way the owners have managed to update the property with tasteful decor and modern conveniences, while still preserving the seaside charm of this quaint little home. 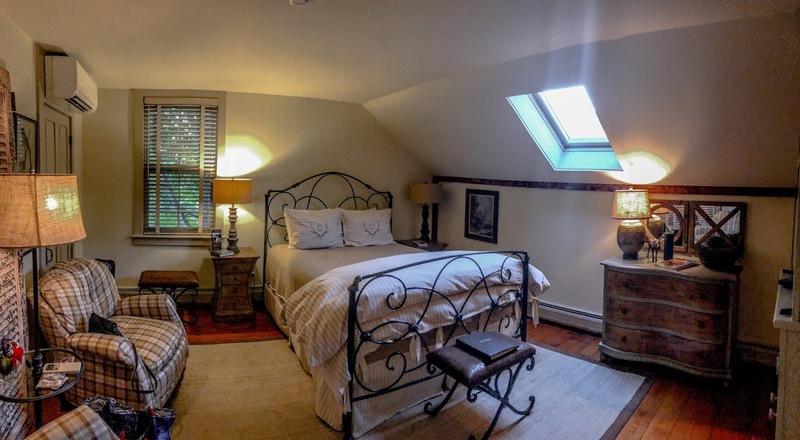 Perhaps the best part about this 8-room B&B is the location! 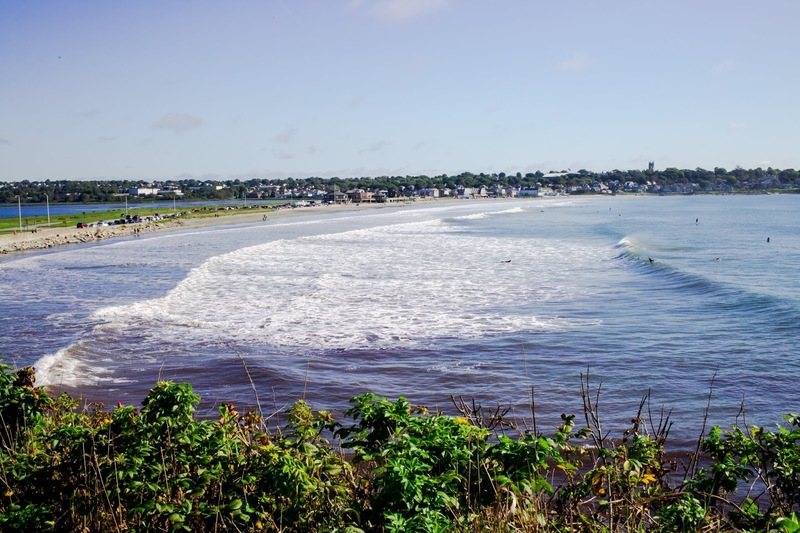 The house is just steps from Marginal Way (more on that in a second), and also walking or trolley distance from Ogunquit Beach and Perkins Cove, as well as the many shops and restaurants. Once we parked our car for the night, we didn't have to touch it again until we were off to our next destination. Trellis House also offers some "afternoon refreshments," and while they are not as extensive as the afternoon tea spread at Francis Malbone House, it was still a lovely and thoughtful touch. Breakfast is a set menu each morning with a rotating selection. 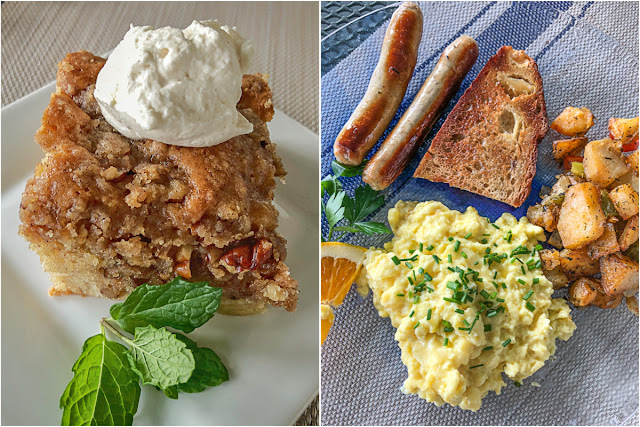 On this particular day, we had cheddar & chive scrambled eggs with Trellis House potatoes, sausage, and toast from a local bakery along with their signature apple coffee cake. 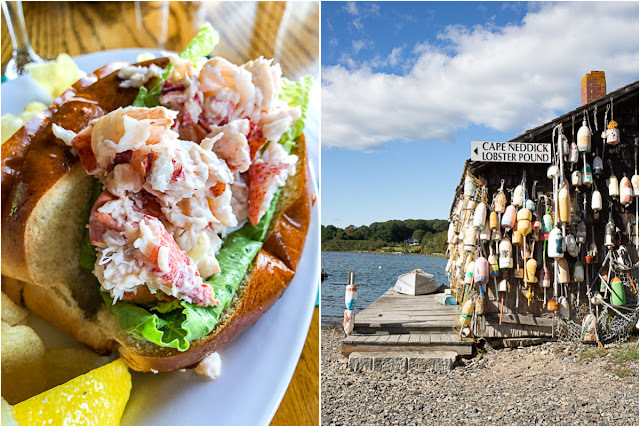 On our way from Rhode Island to Ogunquit, we took the scenic route and stopped into Cape Neddick Lobster Pound on recommendation from our B&B hosts. There, we had yet another lobster roll and a cup of the New England style clam chowder. I definitely preferred this lobster roll to the one we had in Newport. It featured perfectly dressed, tender chunks of lobster in light mayo on a bed of lettuce inside a toasty split-top roll. My mouth is salivating just thinking about it. The clam chowder was the perfect combination of creamy and chunky and chock full of clams. Afterwards, we ventured over to the Cape Neddick Lighthouse... which, as it turned out was covered in scaffolding. (Womp, womp.) We also dined at The Front Porch later that evening, which is a lively spot with a rockin' piano bar upstairs. We met some friends of mine and sat in the bar, where my mom and I shared their lobster mac and cheese. While it was delicious, I reached my lobster intake limit, which was perfect timing, as we were headed inland the next day. 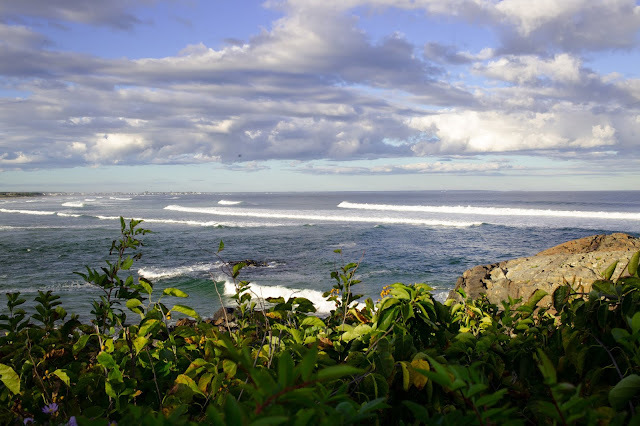 As I mentioned, The Trellis House was conveniently located near Ogunquit's main attraction: Marginal Way. But this beachside path is anything but marginal. The name actually refers to the "margin" between land and sea on this 1.25 mile walk along Maine's breathtaking coastline. We timed our walk right before sunset, allowing us to enjoy the rocky coastline, crashing waves and tide pools just as the sun was vanishing over the horizon. The path ends at Perkins Cove, which looks like something straight out of a coastal New England postcard. Having checked two states off mom's bucket list in two days, we headed west to knock off another two. New Hampshire was more of a drive-through, so on a future trip I would love to venture further north into the White Mountains. However, time was not really on our side on such a short trip, so we admired the red, yellow and orange leaves as they blurred into a beautiful fall mosaic through the windshield as we made our way to Vermont. 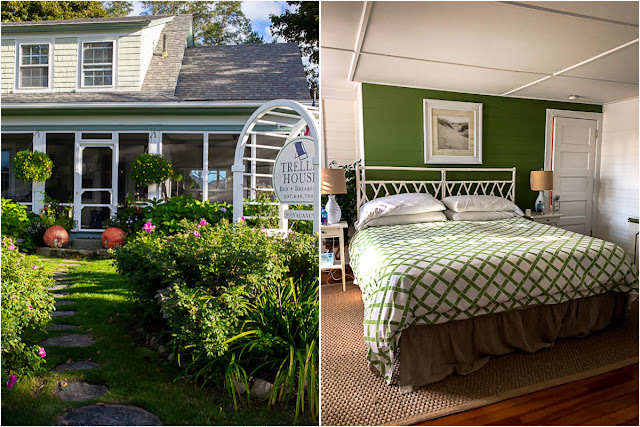 As much as we adored our first two B&B's... we were borderline obsessed with the Deerbrook Inn. It was recently taken over by a delightful couple who revamped the entire place into a rustic chic mountain oasis. Every detail of the place blends perfectly with its wooded surroundings from the wide array of artwork portraying all of the local birds to the neutral wood furnishings, all the way down to the forest-inspired wallpaper. They, too, offer a daily happy hour with homemade appetizers and wine. Breakfasts alternate sweet and savory every other day. 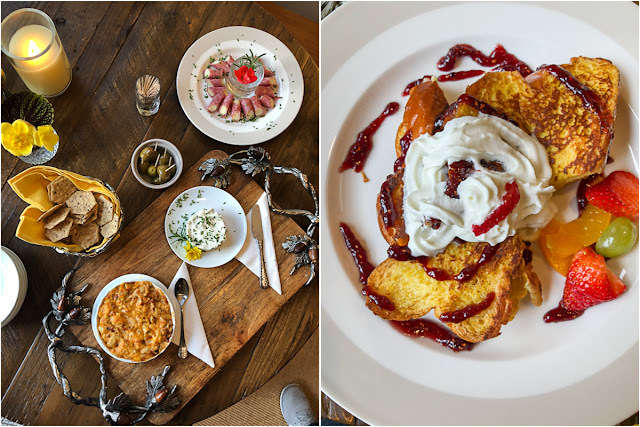 We happened to visit on a "sweet" day, where we were treated to ricotta stuffed French Toast with lemon curd and Georgia peaches (an homage to the owner's roots), as well as a fruit tower and freshly brewed coffee. Not only was Woodstock our favorite lodging of our trip, but it also provided our most memorable meal. 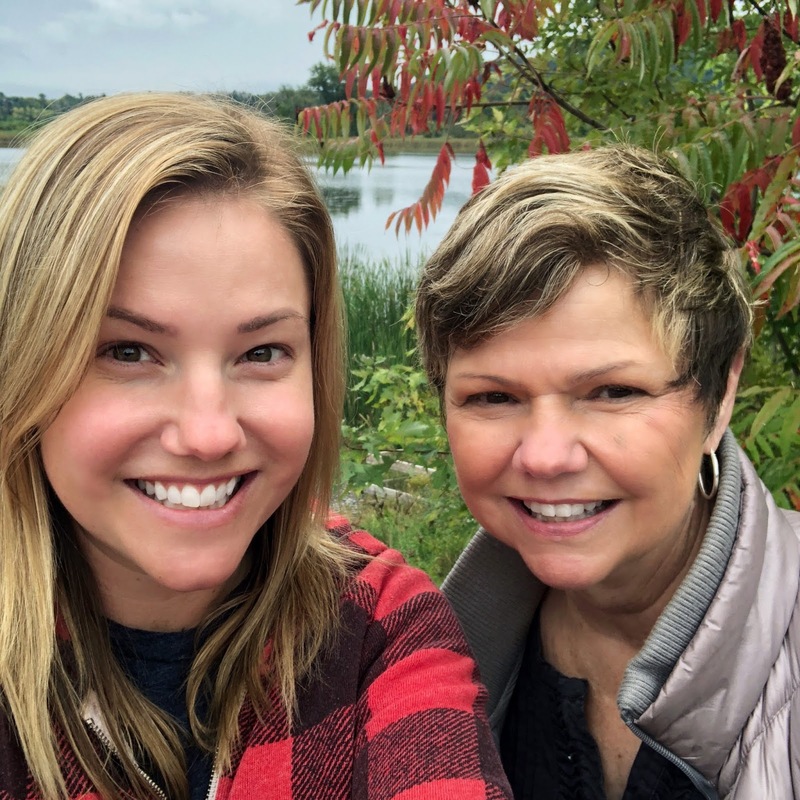 As a way to cap off our special mother-daughter adventure, we decided to splurge at the Lincoln Inn & Restaurant at the Covered Bridge. The best way to describe our evening: "an experience." From the time we stepped inside the cozy dining room to the moment they practically had to roll us out... we enjoyed every sip, every bite, every note played on the piano (by our server no less.) Forbes Magazine named it one of the best restaurants of 2016, and it's easy to see why. 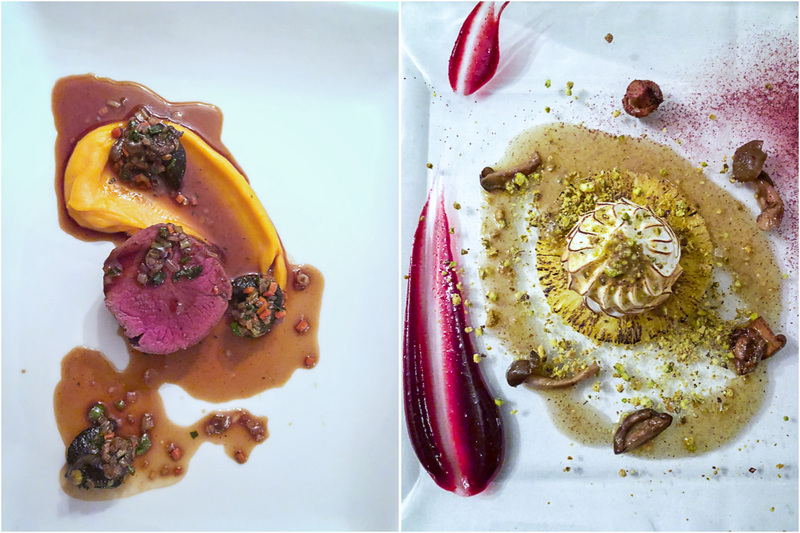 The globally inspired cuisine crafted by Michelin trained Chef Jevgenija Saromova is a true work of art. We opted for the 7-course chef's table in their private dining room with the expertly selected wine pairing. Every coarse was as stunning as it was complex, unique and memorable. But if I had to pick just one, it would probably be the Japanese Wagyu Beef Tenderloin with Escargot. However, if high-end dining is not your cup of tea, we also enjoyed our trip to Worthy Burger, a casual setting with outdoor seating where you can customize your own burger. When in Rome... or in this case, Vermont... you must eat all of the cheese and maple syrup! We stopped at the Cabot Cheese store in Quechee, VT where you can sample and purchase pretty much any type of Cabot cheese imaginable. (Think... bacon cheddar, habanero, herb, and super sharp, aged varieties.) 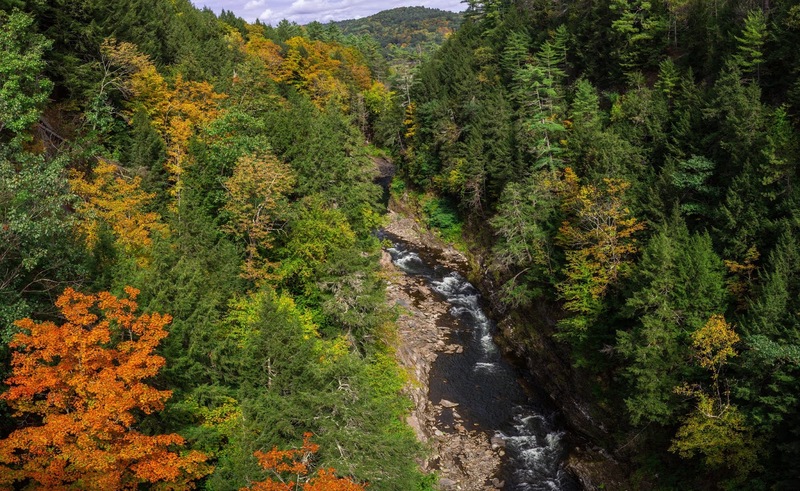 Just down the road from the store is the Quechee Gorge, which is known as "Vermont's Little Grand Canyon." It's definitely not nearly the scale of the real deal, but it's a beautiful spot to park, admire the view and snap a few photos, especially if the leaves have started to turn. If you have more time, there are also hiking and walking trails along the Ottaquechee River. 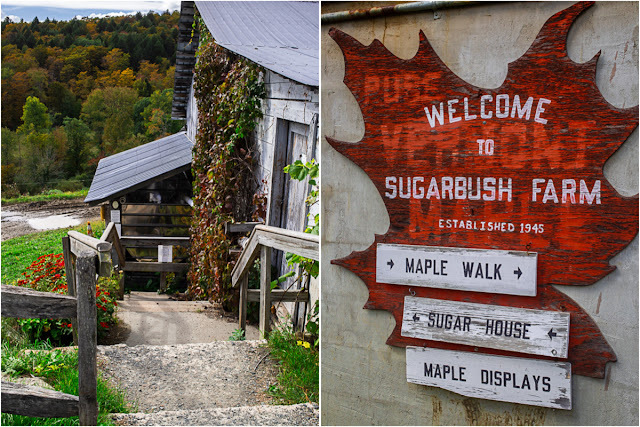 We also made a pit stop at Sugarbush Farm, a 500-acre producer of cheese and maple syrup on a winding and scenic road just outside of Woodstock. There, you'll find 15 kinds of cheese, four different grades of maple syrup, plus a farm store filled with locally made jams, mustards and meats. 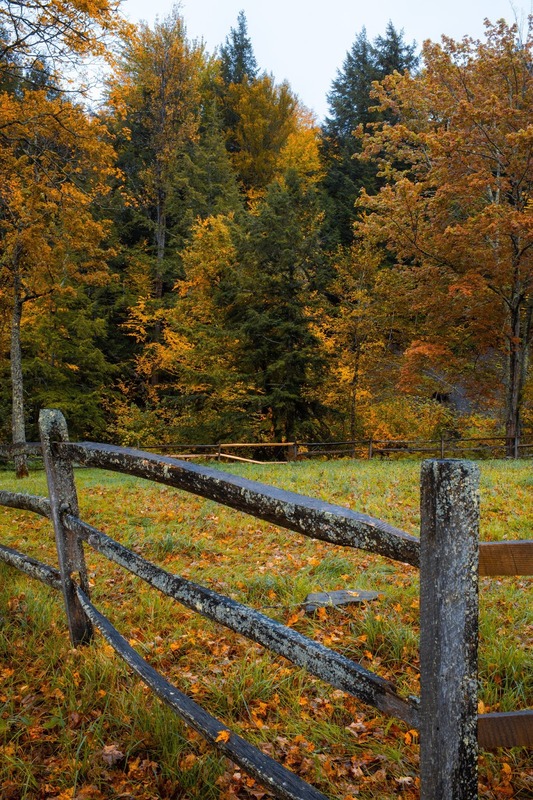 Vermont is also home to more than 100 covered bridges, with more per square mile than any other U.S. state. We stopped at the Taftsville Covered Bridge, which wasn't far from Deerbrook Inn. 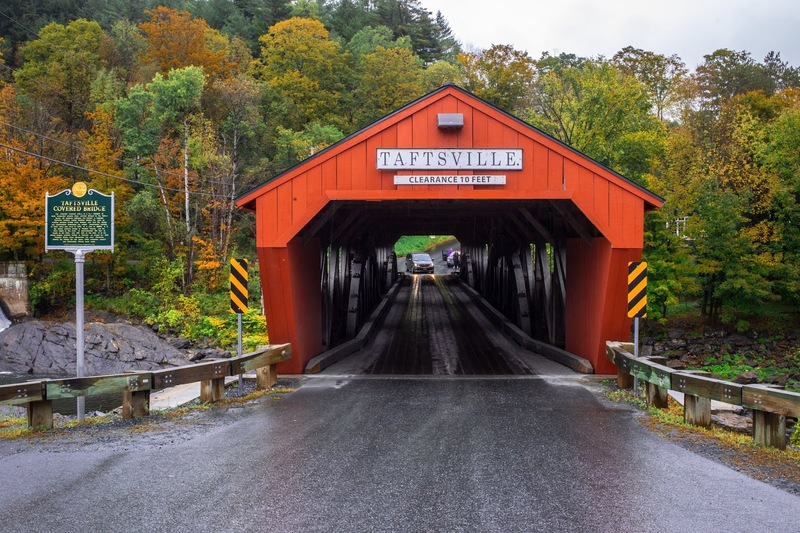 The bright red bridge was constructed in 1836, and stands as one of the oldest covered bridges in Vermont and the country as a whole. As we woke up refreshed from a peaceful night's sleep and satisfied from our delicious breakfast... it was sadly time to head back to New York. Thanks to my mom for sparking the idea for a special New England road trip I'll never forget! Have you ever taken a road trip with your parents as an adult? If so, I want to hear about it in the comments section! Thanks so much Joanne! Sounds like a wonderful trip!